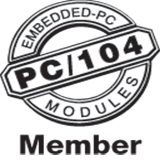 Although PC/104 was heavily concentrated in North America when first introduced, word of its proven value spread around the world. It is an honor and a privilege to be elected to the position of chairman of the PC/104 Consortium for 2006. I am excited to assume this role, and I hope to help bring about some significant changes and growth in the coming year.